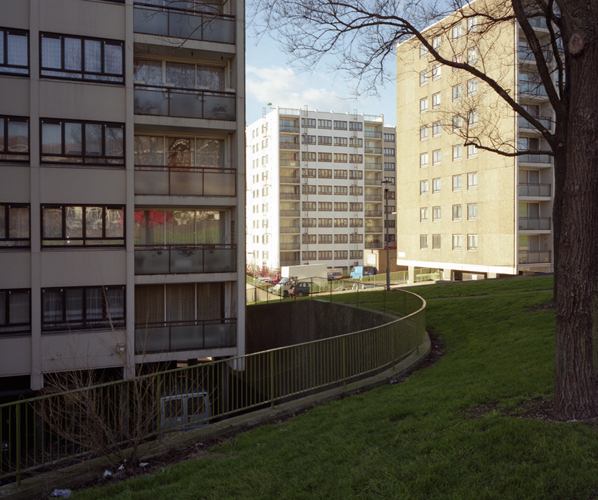 Whitehawk is a housing estate in Brighton on the south coast of the UK. 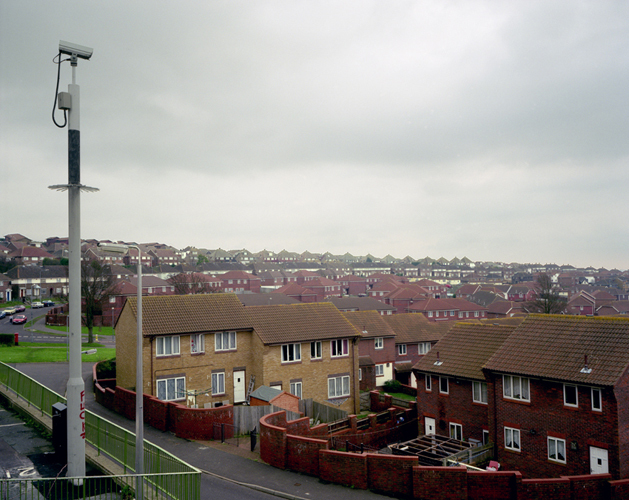 It was one of the first residential areas in the country to have CCTV cameras installed to act as a deterrent against crime and aid the police in catching criminals. 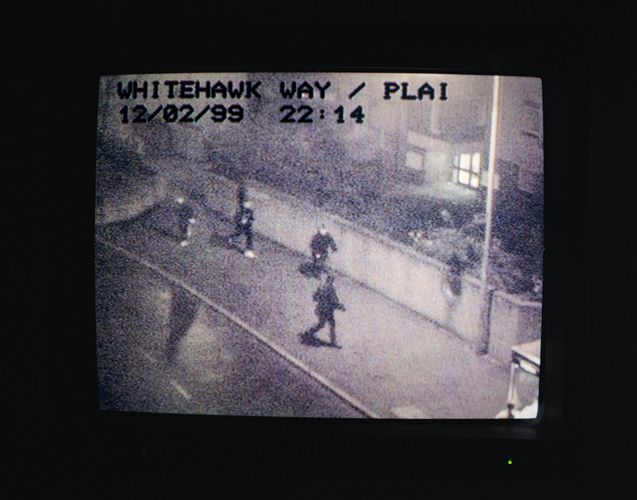 The estate has nine cameras that relay images back into Brighton Police station. 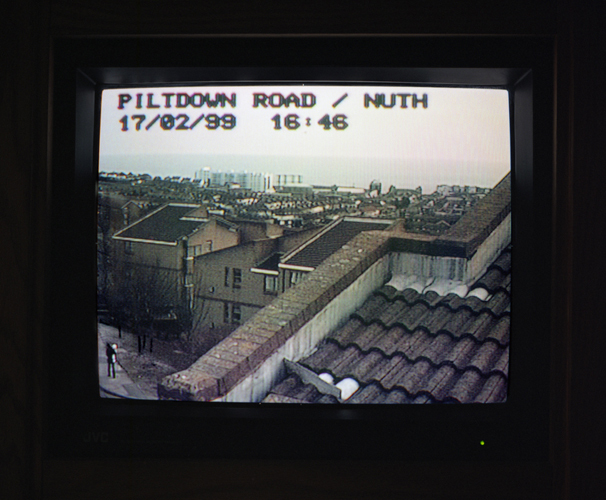 The pictures in this series combine still photographs of the estate from CCTV camera screens within Brighton Police station with photographs made within Whitehawk itself. They depict two views of the area. 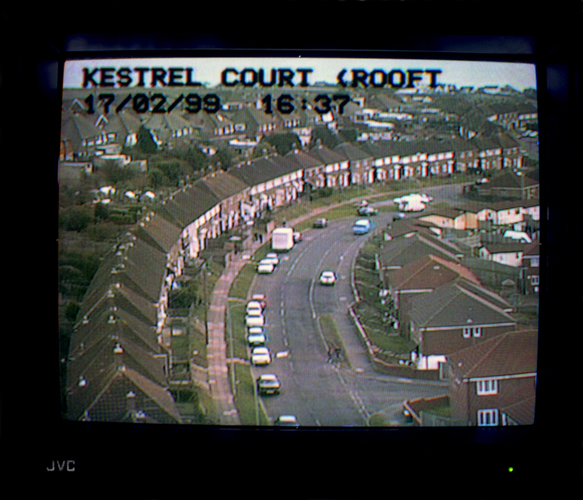 The grainy, pixilated footage portrays the estate as a dangerous place peopled by mysterious shapes and running figures. A sense of Orwellian alienation pervades the pictures. Who is being watched and why? The other set sits along side these CCTV images and provide a counterweight. 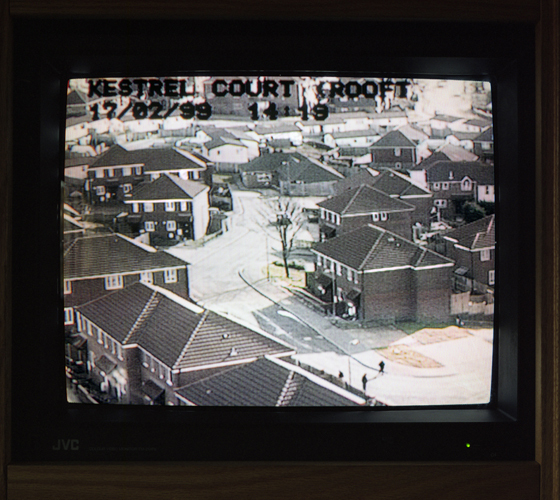 Here we see the estate in 'reality' and glimpses of the lives of the people under scrutiny. Three of the photographs represent a shrine where a 16yr old boy was stabbed to death during the weeks I was photographing on the estate. 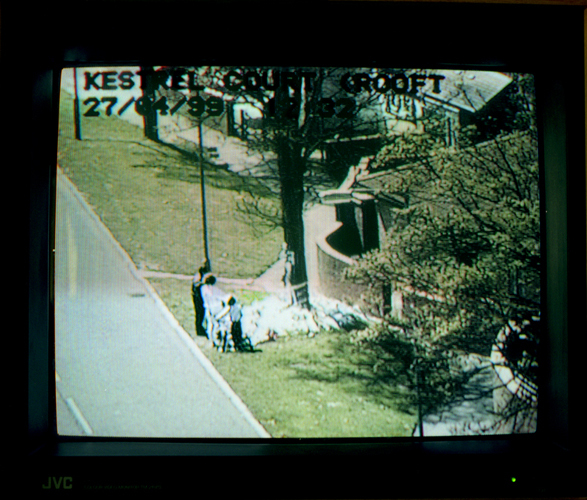 The shrine is depicted once through the CCTV cameras, again between two of his school friends visiting the spot and also through the net curtains of an elderly lady whose house overlooks the murder scene. The images are not an attack on CCTV technology but are an attack on the increasing alienation that modern society appears to be feeding. 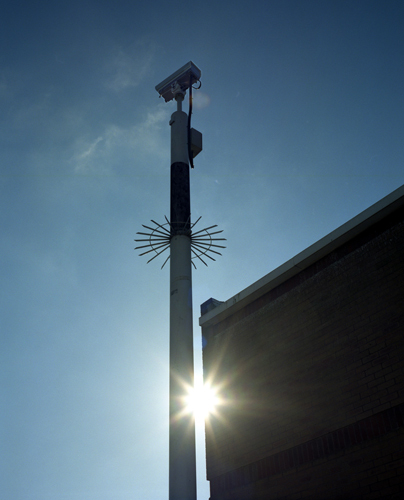 A 2007 survey on the use of CCTV places the UK as the worst surveillance society in the European Union, and one of the worst in the world. The report describes the UK as having an endemic surveillance society, finding greater surveillance levels only in China, Russia and Malaysia. 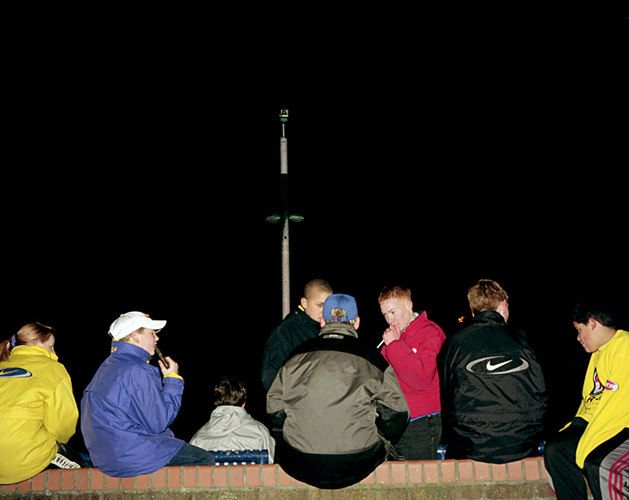 The images was featured in the book 'Substance' along with the work of Gordon MacDonald, Florian Jaenicke, Jon Baker and Vicky Wetherill. Curated by Rankin the photographs were shown in The Dazed and Confused Gallery and the Oxo Tower, London. It also featured in issue 32 of Portfolio Magazine. Untitled. Looking east across Whitehawk. Brighton 1999. 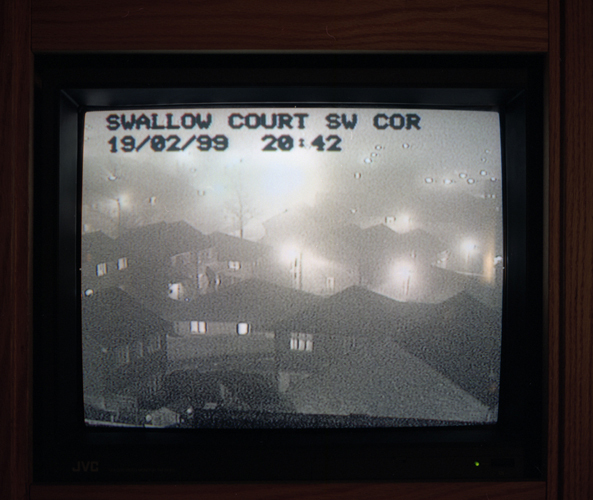 Untitled (CCTV footage). Brighton 1999. Untitled. View from north of the estate. Brighton 1999. Untitled. 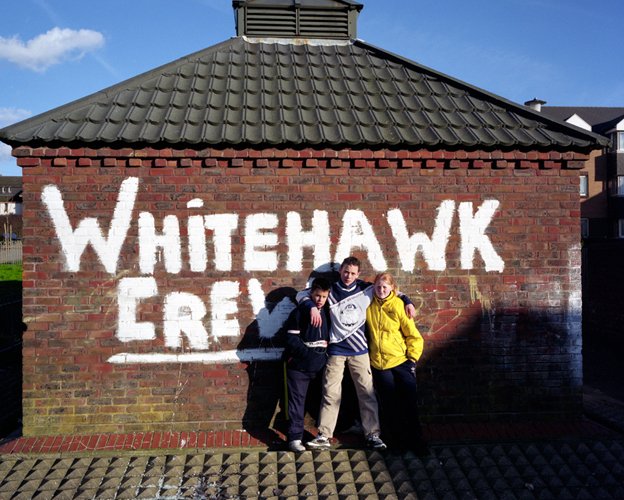 Whitehawk Crew. Brighton 1999. Untitled. (CCTV footage). Brighton 1999. 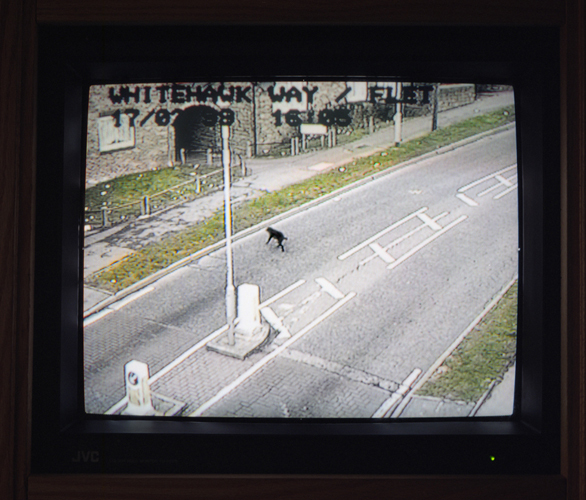 Untitled (CCTV footage) Dog crossing road. Brighton 1999. Untitled. 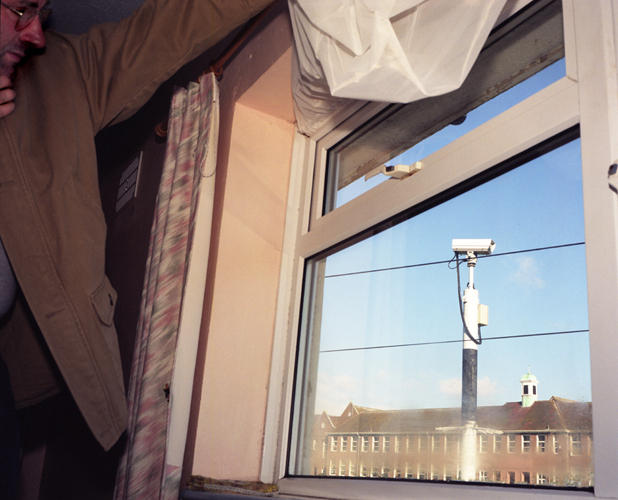 Resident reveals camera outside his bedroom window. Brighton 1999. Untitled. Camera pole. Brighton 1999. Untitled. 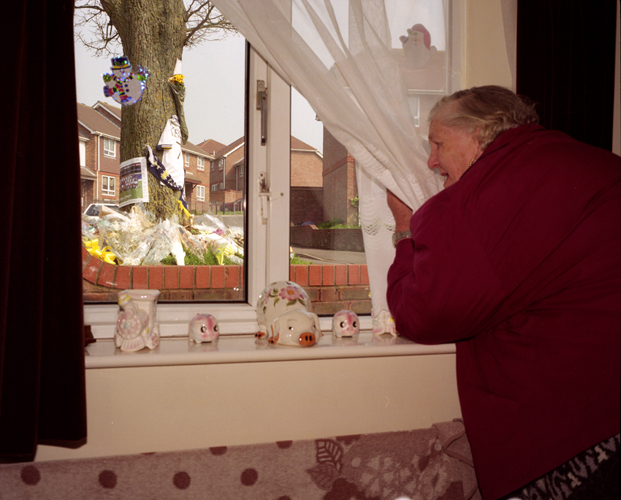 Resident reveals murder site outside her bungalow window. Brighton 1999. Untitled. 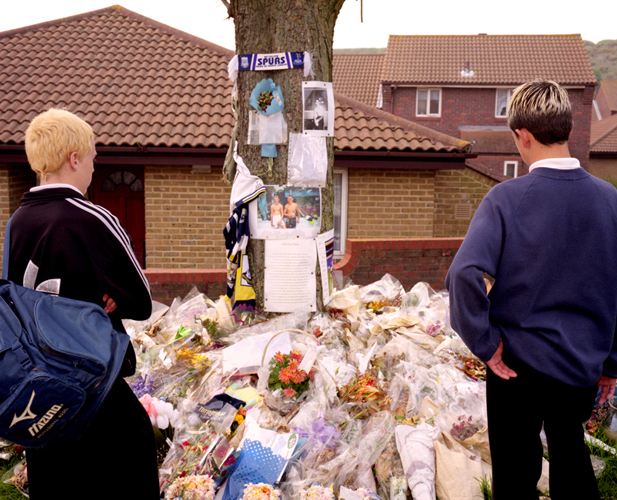 Friends of murdered boy visit the site. Brighton 1999. 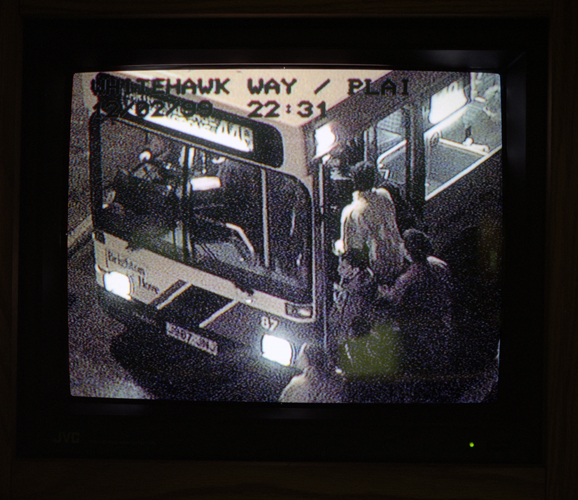 Untitled (CCTV footage), people boarding a bus. Brighton 1999. 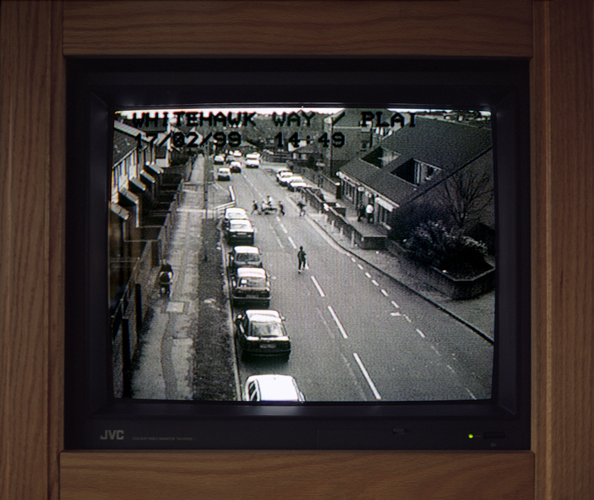 Untitled (CCTV footage). Looking south. Brighton 1999. 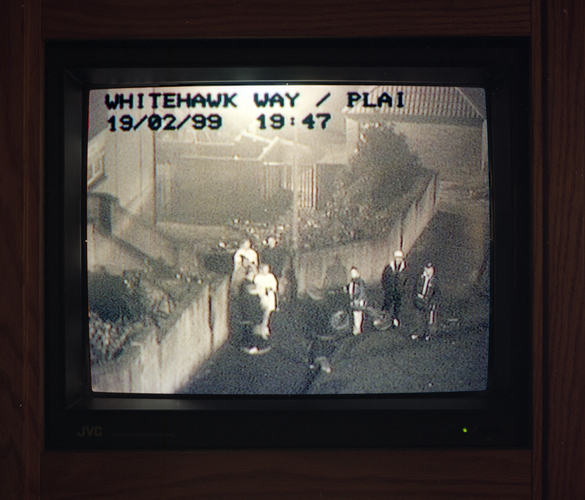 Untitled (CCTV footage). Young family visits murder site. Brighton 1999. Untitled. Getting stoned. Brighton 1999. Untitled. Kids hanging out on the estate. Brighton 1999. Untitled. 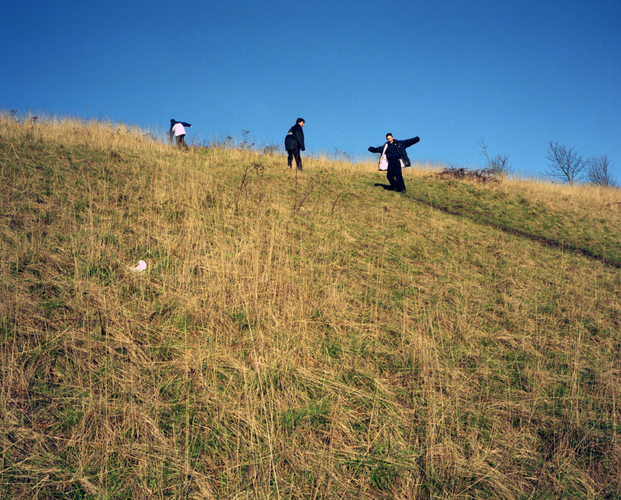 Kids playing truant reach the top of the hill overlooking Whitehawk. Brighton 1999.